Originally launched in 2009, the reconfigured studio includes new HD production equipment and set design from Z Space Creative. 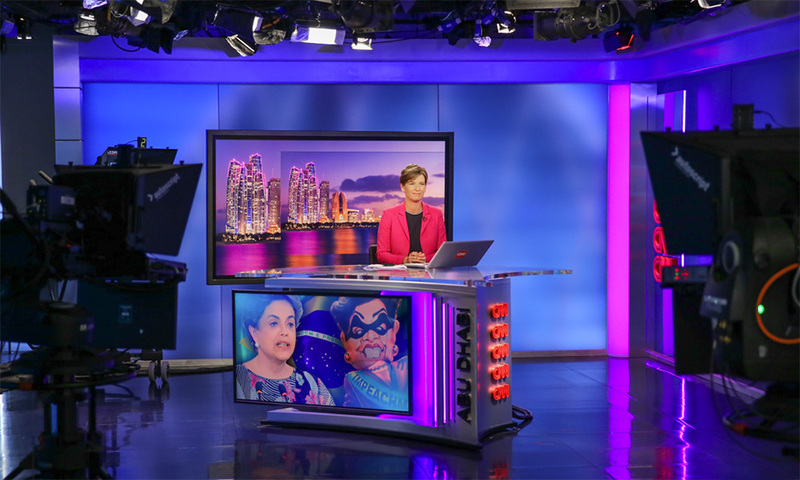 “There are two parts to this project: we’ve integrated the latest HD cameras and equipment, touchscreens, lighting and a quite stunning LED wall into the main studio space, which create a completely fresh look and feel on air,” said Becky Anderson, managing editor of CNN Abu Dhabi. The design follows the style set in recent upgrades to CNNI’s London bureau, using large LED walls behind the anchor area. “On top of that, we’ve reconfigured our rooftop space, giving us new scope for our show teams to get creative. The overall result is a versatile, hi-tech hub that is the perfect base for our Middle Eastern operation,” said Anderson. Along with serving as a backdrop for live shots, the rooftop space will also be used for events to “bring CNN even closer to the Abu Dhabi community.” Dubbed “The Rooftop Sessions @ CNN,” the events will bring together UAE’s artists and residents to perform, discuss and engage with CNN.